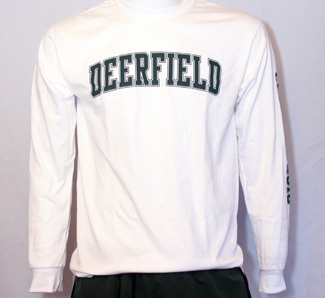 White Gildan Ultra Cotton 100% pre-shrunk 6.1 oz cotton jersey long-sleeve tee. 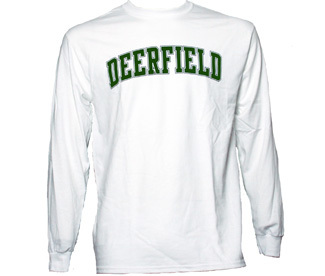 Double-needle stitching throughout. Taped shoulder-to-shoulder. Great weight for year-round wear. 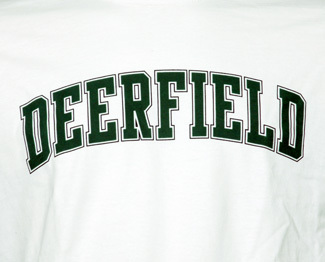 DEERFIELD screen-printed in green on front with Class of XXXX screened in green down the sleeve. 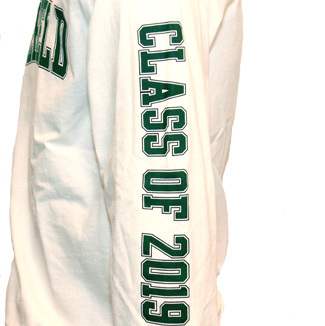 Unisex sizes XS-XL for class years 2019-2023 (2016-2018 now found under CLEARANCE items).